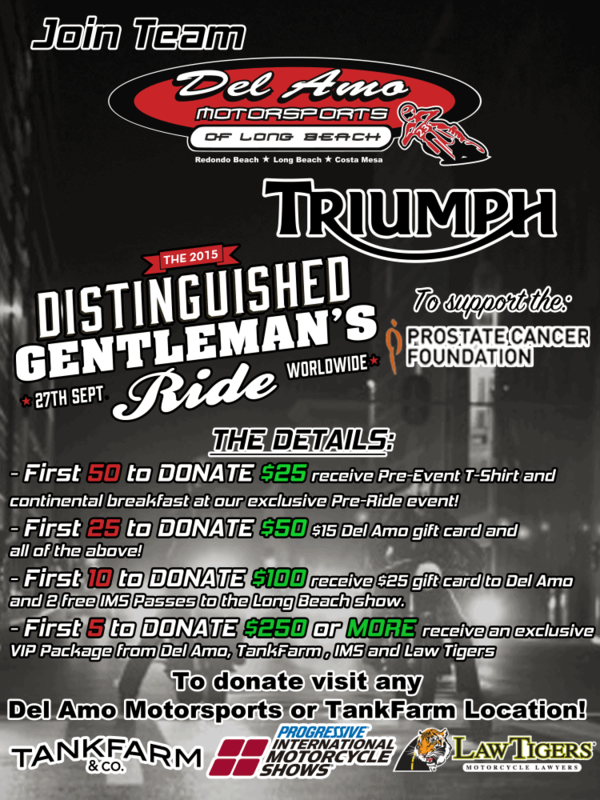 On Sunday September 27th 2015, more than 17,452 smartly-dressed gentlefolk in 406 cities from 79 countries will straddle the saddles of their Café Racers, Bobbers, Scramblers and other marvelous Custom motorcycles to raise awareness and help fund the cure for prostate Cancer. Here is where I am, I am so stoked, 7th in the world on donations, I cannot thank you all enough for your genrosity and help and goodwill, it is YOU that has helped me reach this goal and further, this is a tremendous effort by you and I wanted to say thank you from the bottom of my heart. I am proud to be a part of this historic weekend that is coming up and I look forward to Blogging the event when I get back. Well, September 27th is literally just around the next bend, so I wanted to try and promote a little of this on my website, seeing as the 59 Club will be attending this great Annual event and, of course a real cause that happens to be a slight concern for my health as I get older. 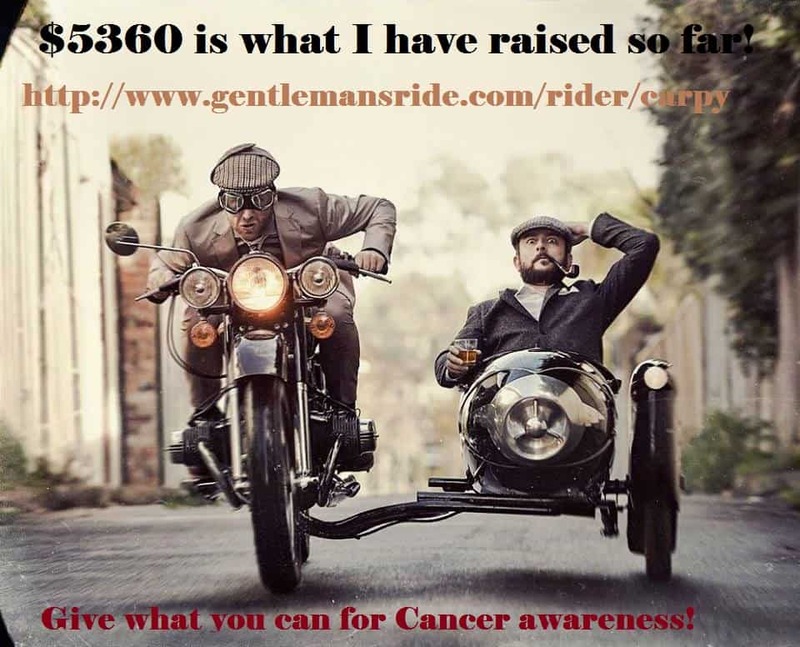 1 in 7 guys get this terrible disease and I want to try hard and get as many donations as possible for this ride and lets see if we can find a cure for Prostate Cancer. My link below will take you to the page to sponsor me no matter how small, EVERY penny counts and I can sure do with some help here, so if you could find just 5 minutes of your time to Donate here, I will be so stoked. I am going for a Goal of $5000 and am at $5360 so have gone past that and now want to do all i can to get a great total for the ride on Sunday, if you can pass the link around that I have typed below I would really appreciate it. If you can donate to this worthy cause it will help so many people in a dire position. I will see your name pop up when you hit the Sponsor me button and I will thank you for helping towards finding a cure for this disease. 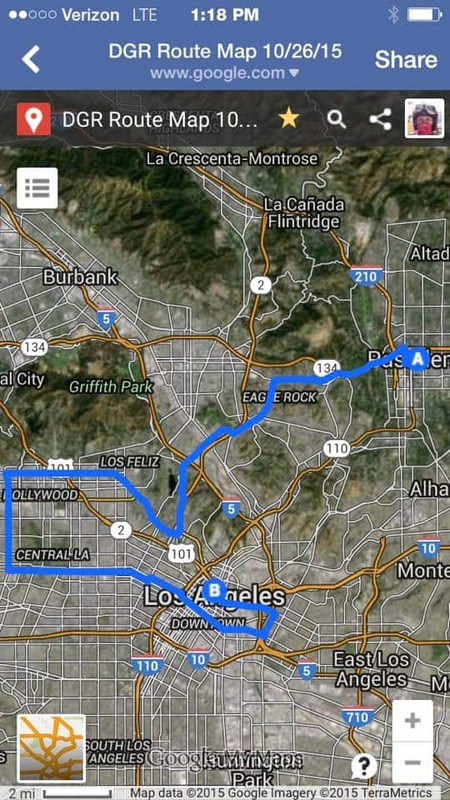 So Below, here is the route for you to see. I am looking forward to this ride, I started off as 525th in sponsoring in the world in funds and right now I am doing well and at 14th place, lets try and get more for this wonderful charity and help those in need. This will be a real big event and one you really should not miss for the year! We shall be starting at Del Amo Motorsports in Long Beach. 3291 Cherry Ave, Long Beach, CA 90807 and will be there at 7AM sharp! So here are the flyers right now and will add as I get closer to this event. I sure hope you spread the word and get involved, this is a unity ride that I truly believe will be beneficial to everyone and what a great way to meet many like minded people, have fun and make new friends, as well as support something that really is a serious issue too. 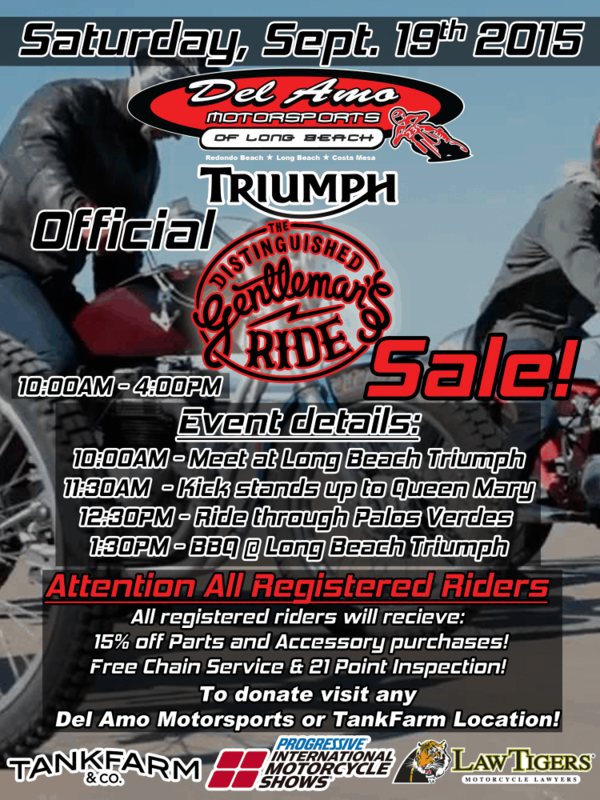 This is a super opportunity to have a great ride with tons of ton up machines and to hear all them engines will be such a great experience, even for me, I love rides with many cool people and I sure hope you will attend this. Please come up and say hello, as I love to meet you all, this is a great event and sure look forward to meeting everyone of you all. Keep the date handy and we shall see you on the Tarmac. If you can Sponsor me it would be so cool to know that I have a lot of friends that wabt to help in this Charity ride and we are united in trying to find a cure for this disease. I would also love to win this Thruxton through your sponership and will then raffle the bike off and donate to the funds to charity. 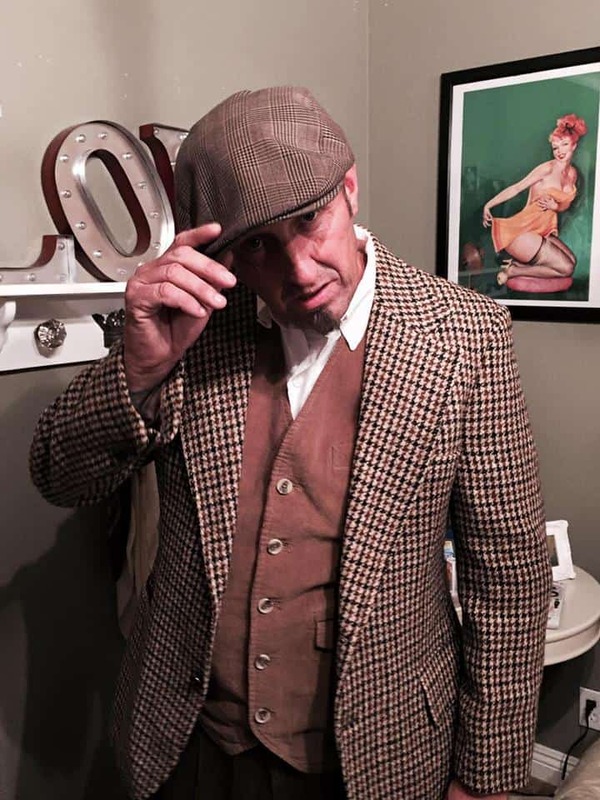 So, if you can make it, throw on some Dapper gear and I will see you on the road on the 27th of September. Many thanks for those who have already donated for me I am so stoked. Here is my link to Sponsor me. Once again I thank you all, PLEASE pass the word as this is something I am really trying to help with. This entry was posted in Blog and tagged 59 club, ace cafe, Antantis motorcycles, ariel, Benelli, Bimota, bmw, bobber, bonneville, brat, cafe racer, cancer, classic motorcycle, custom, drag, Flat tracker, Indian, kawasaki, manx, meet up, motorcycle event, motorcycle meet, Mv Augusta, norton, prostate cancer, prostate cure, ride for a cause, suzuki, T100 BSA, The Distinguished gentlemans Ride, thruxton, ton up, tribsa, triumph, tweed, Villiers, vintage motorcycle, yamaha.